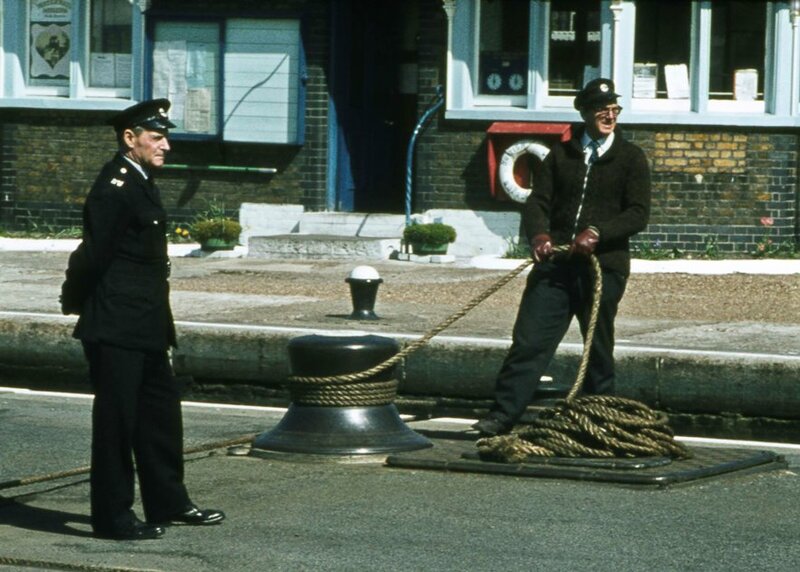 Peter Young took this photo at Brentford Lock on 2nd May 1973, part of a collection of photos from 1973 and 1974 which show river traffic and people who worked on the waterways. If you are not familiar with the area a map from 1912 may help. Peter adds: the Thames barges would arrive at Lock 100 (Brentford Lock) and then tie up by one of the wharves within the dock. The lockkeepers were very busy – and someone will probably be able to recognise them. If you can provide any names please get in touch.